In 12-inch nonstick skillet, heat oil over medium-high heat. Sprinkle pork chops with seasoned salt. Cook pork in oil 3 to 4 minutes or until brown on both sides. Remove pork from skillet. Remove pork from skillet. Stir tomato into corn mixture; cook and stir 1 minute. Serve corn mixture with pork. 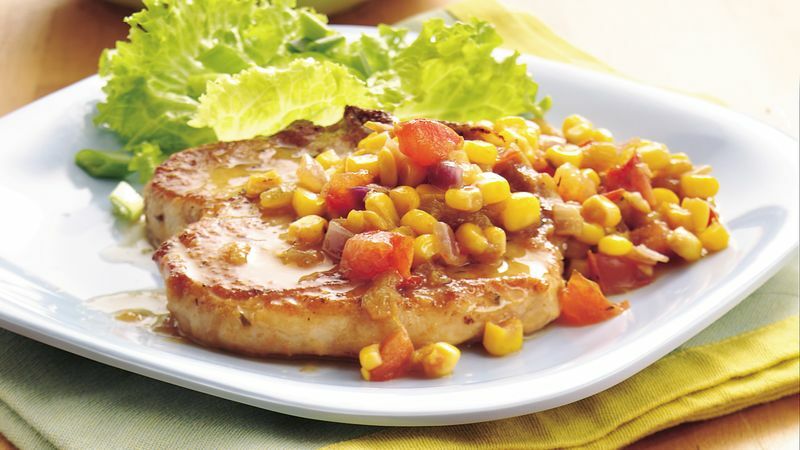 Boneless pork chops can be used instead of the bone-in type. Like spicy food? Go ahead and add a dash of ground red pepper (cayenne) to the dish.